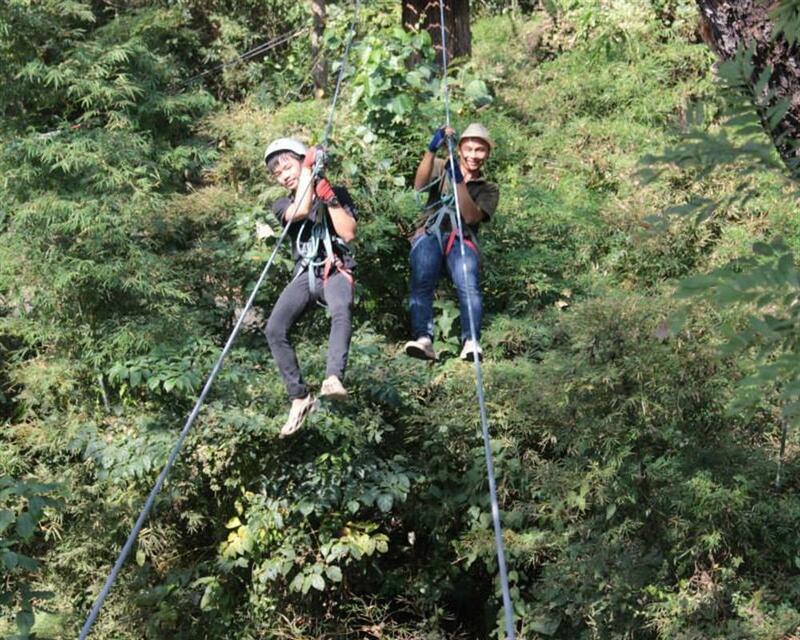 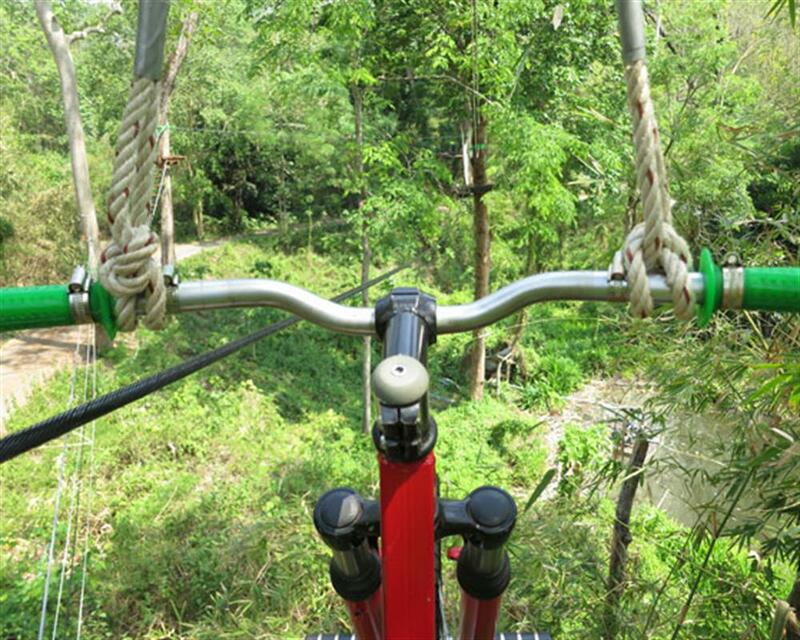 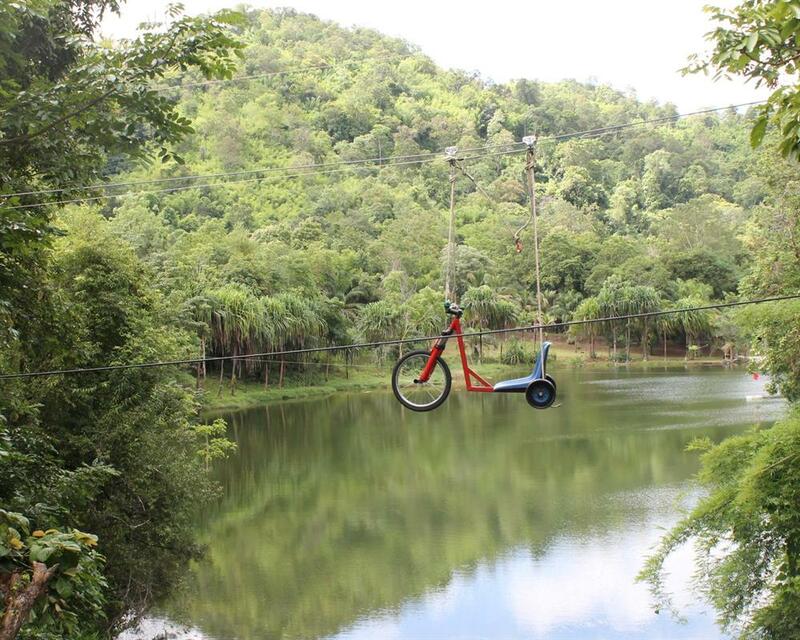 Tree Top Adventure Park Kanchanaburi offers you an excitement with high quality safety equipment. 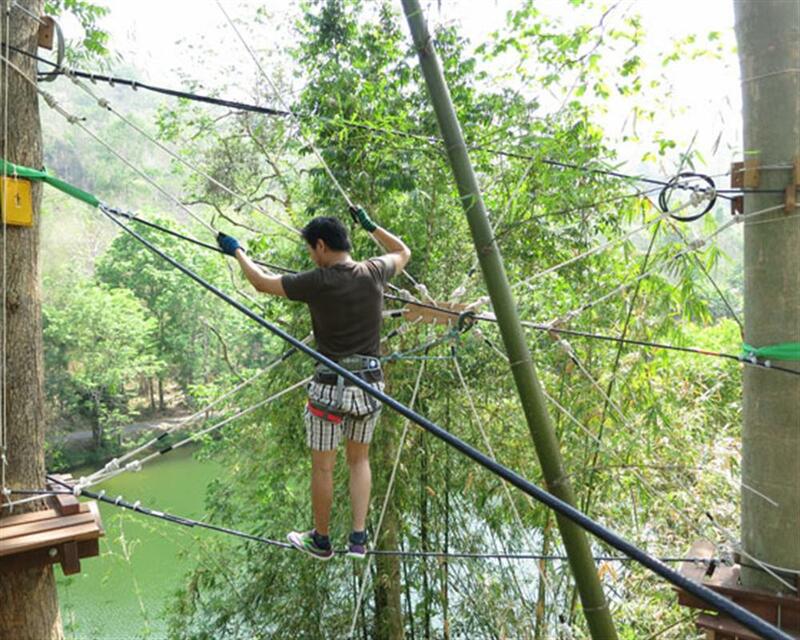 This also means that you will fully enjoy the fun and excitement throughout the activities without any safety concern. 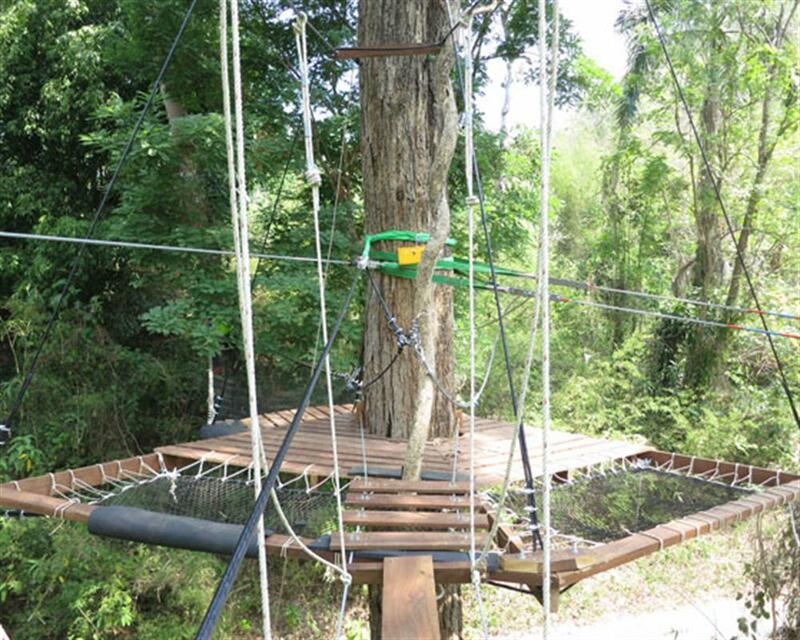 In addition, there are about 30 exciting stations of zip lines and high rope adventure courses over treetops and across the lake, a sky bike over the canopy of the trees, Monkey Swing, and many more. 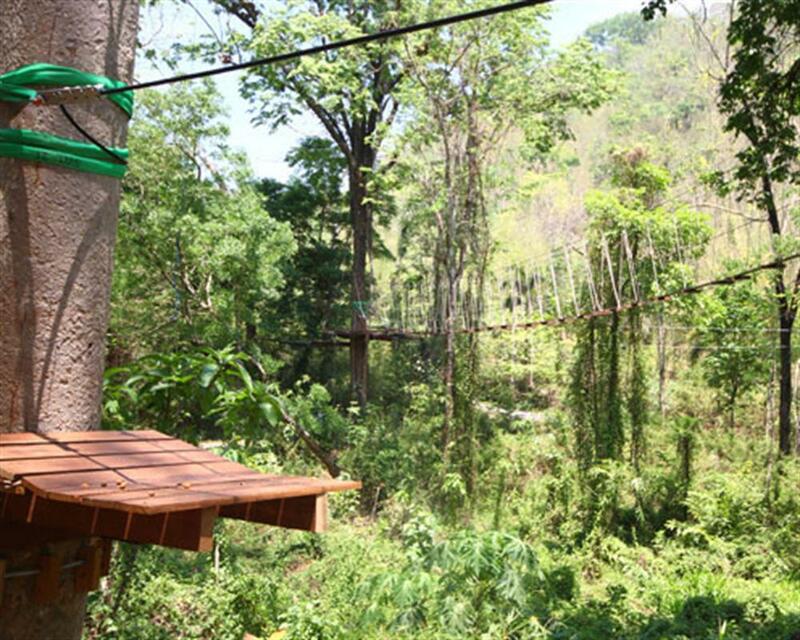 If you get tired, don’t forget to take a break on our giant platform and lay down on our huge hammock! 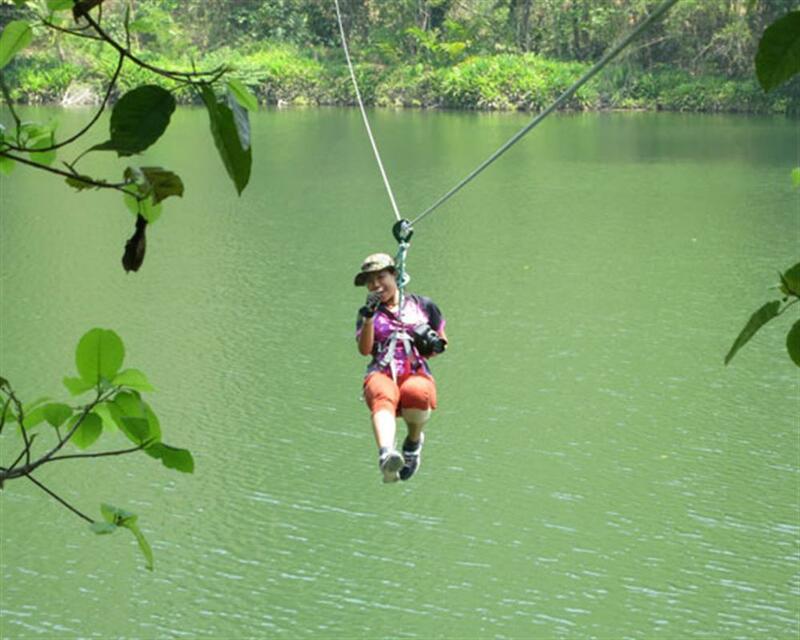 Then get yourself ready for the final station, the main highlight of a giant zip line stretching over the whole length of the lake!!! 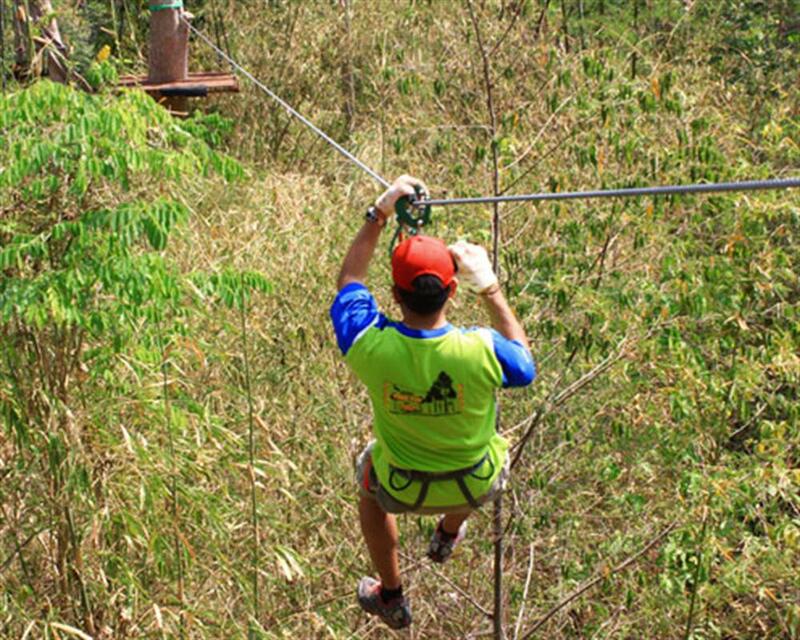 And once you have made it to the finish line, there you will find the staff with our refreshment to cool your down and mark the end of your amazing journey. 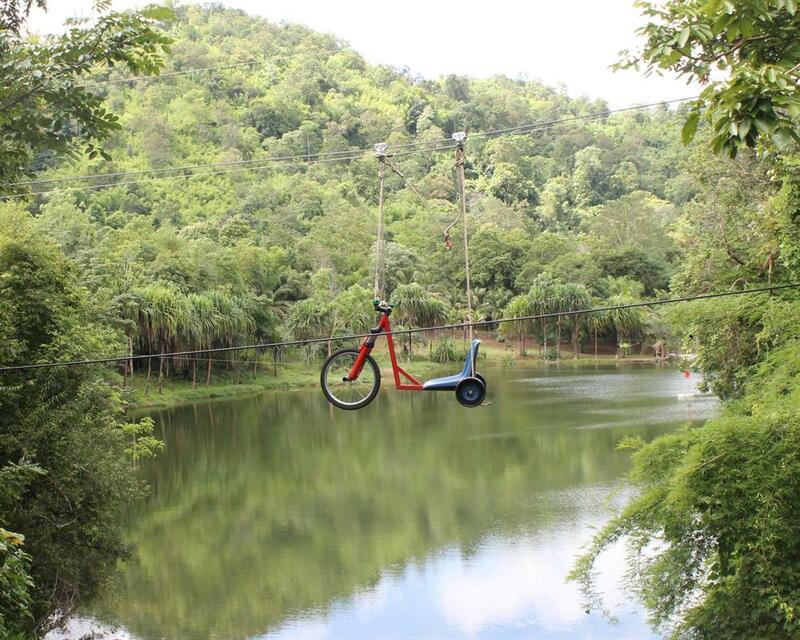 With over 40 stations of extreme and exciting adventures to try, this park is perfect for adrenaline junkies!